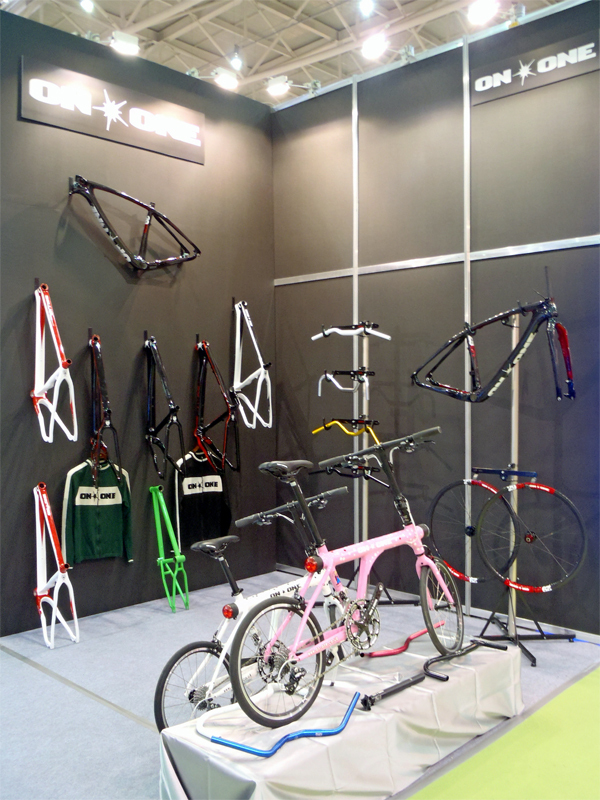 A quick update on our recent whirlwind trip to Taiwan, spent catching up with our suppliers and visiting the Taipei Cycle Show 2011. A massive case of jet lag invariably meant an early start and a quick round of 'Hotel Triathlon' making good use of the pool and gym before taking the On-One limousine through the scooter grand prix (and whimping out on Taiwan's mental Metro network) to the TWTC Nangang Exhibition Hall. In true On-One fashion we managed to blag ourselves a stand at the prestigious Taipei Cycle show... Hastily thrown together with no notice and comprising of stock scrambled from our agents' office and contents of our suitcase on hangers nicked from the hotel. It’s a good job On-One branded boxers are not available yet or believe me they'd have been on there! Our days were crammed with meetings with existing suppliers for On-One, Planet X and Titus in order to catch up with current projects and discuss new opportunities. At the same time we tried to squeeze in 4 massive floors of exhibition stands to seek out new products and find inspiration for new projects. The early starts led to us cracking by 3pm and running for the nearest source of coffee and local Pineapple Cake (I'm not sure that stuff would be UCI legal) before hanging on till dinner which was usually a garlic infused fish fest. 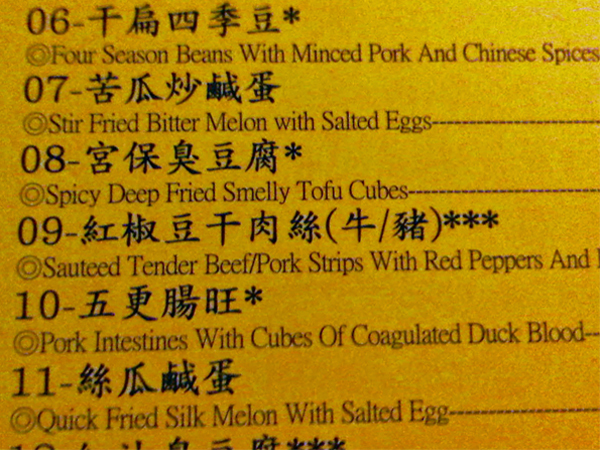 By the final day Pork intestines with cubes of coagulated Duck blood never tasted so good! Back in the UK it's time to get over the jet-lag again, only this time with garlic withdrawal symptoms and a vitamin D deficiency to fight too as the sun never once managed to cut its way through the Taipei smog! Typical! We have a mountain of new products and projects to follow up on which we can't say too much about now, but I think Stevo and our design team will have their hands full in the coming weeks and months. We could just throw everything in the melting pot and come up with an On-Planet-One-X-Titus branded carbon-moulded-shaft-driven-Alfine-geared-drop-bar-polo-playing-full-suspension-snow-cross-fat-bike for kids with own brand 650b tyres stretched across 3 inch rims with enough dynamo power to light a house all controlled by Shiggy's Out There alt-bars with cargo space for more than one Pineapple Cake... Or something! ?